Most people would never think about injecting themselves in the face. However, there is a new trend of people who are doing just that to save money. Last year, people spent as much as $15 billion on cosmetic procedures. Sure, a treatment doesn’t cost pocket change, but it’s certainly worth the money versus the alternative of potentially damaging your body forever. Tracie Samara is a victim of saying “yes” to a no-cost cosmetic procedure to enhance her appearance. Approximately 11 years ago, she responded to an ad in the newspaper for free non-invasive facial rejuvenation. She jumped on it with even thinking it could lead to the nightmare she’s been through. “At 44, I wanted to go back into modeling. It took me a while to realize something very wrong was going on,” Tracie said. She ended up with a bruised and swollen face. She was nearly blinded because of the injections that were misplaced around her eyes. What she had to do afterward to correct the damage has been difficult. As much as she wanted to save money on injectables, she ended up spending way more on corrective plastic surgery to mend the damage that the fillers caused. The injected substances had to be removed, skin has had to heal, and little by little she is finally getting her face back to normal again. This new trend of DIY injectables is disturbing, to say the least. People are purchasing low-quality fillers and using them on themselves or others. For some people, they won’t see a reaction or difference in using them. Other people will, and the effects could lead to permanent damage to the face or life-threatening infections to name a few. 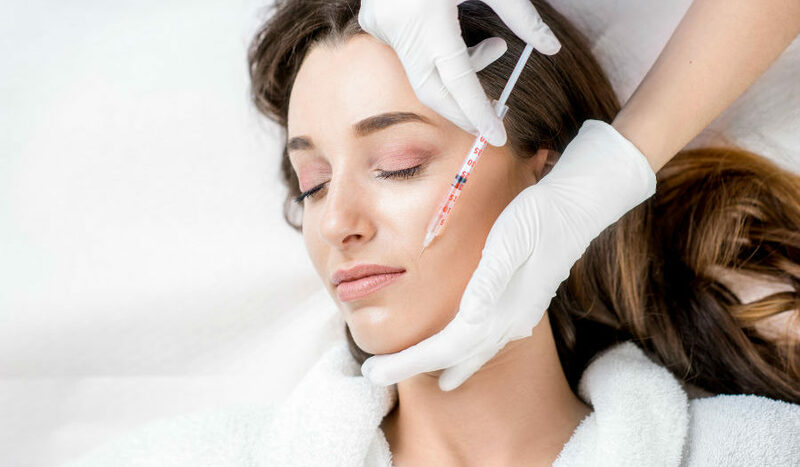 Leave injectables to the medical professionals, such as James Christian Sardelli, RPA-C. His aesthetic expertise has helped hundreds of clients feel better about themselves. Additionally, he uses only the best name brand pharmaceutical products available on the market today. Your beauty is important to you, so why trust that to anyone but a highly qualified, certified injector? Contact James Christian Cosmetics during normal business hours at 1-844-iBOTOX-NOW. Available 24 hours a day and 7 days a week is our Cosmetic Concierge line at 917-860-3113 (call or text). Our office locations are proud to serve residents of Suffolk County, Long Island, and beyond including East Setauket, Islip, West Hampton Beach, Commack, Manhattan, Brooklyn, Rockville Centre, Farmington, Babylon Village, and Huntington Bay, New York.